Today I added a headstone photograph and an inscription to the page of St. James Anglican Church Cemetery. I also added George’s death record and marriage record. He married Lucinda Atkins on November 21, 1885 at Liscomb. 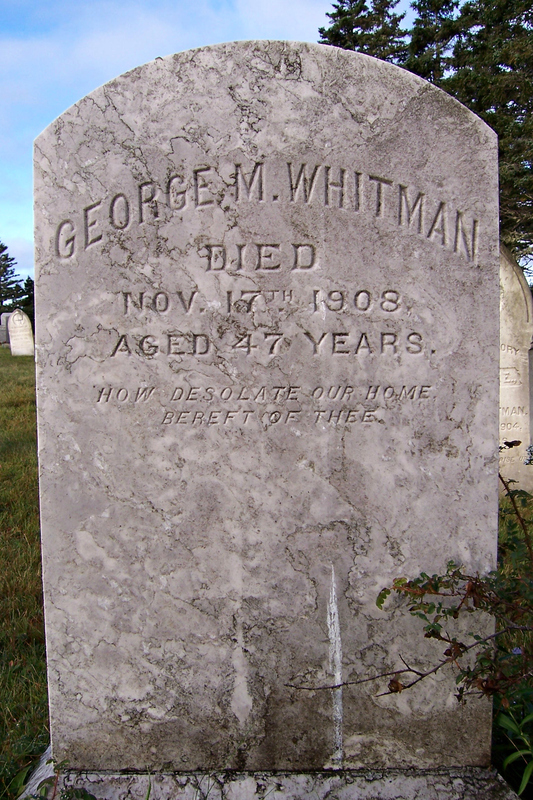 His parents were noted as Catherine and Leonard Whitman. Lucinda’s parents were Elizabeth and George Atkins. The 1901 Census recorded Lucinda and George with their family of five kids: Gordon (14), Nettie (13), Stanley (10), Frederick (4) and Ernest (2). Atkins, William Henry: Born April 4, 1852 at Harrigan Cove, Halifax County, NS, the son of Francis Snow and Henry Atkins. Today I added a headstone photograph and an inscription to the page of St. James Anglican Church Cemetery. I also added three photographs of the church and surrounding cemetery. 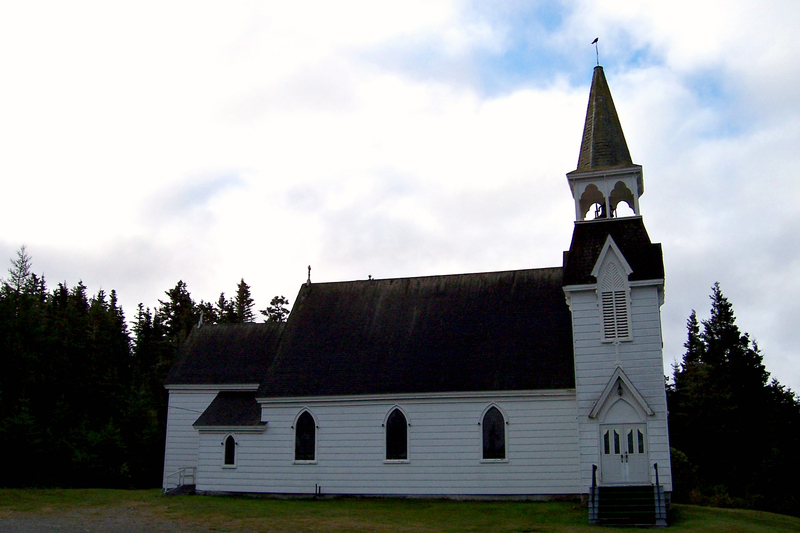 St. James is located on Smiley’s Point Road, Port Dufferin, Halifax County, NS overlooking Beaver Harbour. 13th Batt. C. E. F.
Ernest Leonard Whitman, the son of Lucinda (Mary) and George Whitman, was born April 21, 1896 at Port Dufferin, Halifax County, NS. He worked as a labourer when he enlisted with the Canadian Expeditionary Force on January 10, 1916 at Halifax, NS. He was 19 years old, measured 5 feet, 9 1/2 inches, and had a dark complexion with brown eyes and hair. 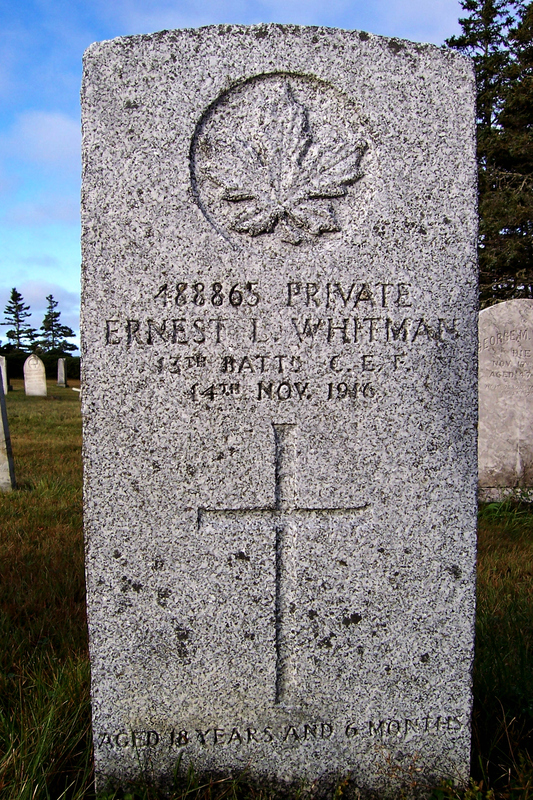 Private Whitman served with the Canadian Infantry, Quebec Regiment, 13th Battalion. He died at the age of 18 on November 14, 1916. As you can see, Ernest’s age recorded when he was attested (19) is older than when he died ten months later (18). Using his death date and his stated birth date on his attestation paper, he would have been 20 years and 7 months old when he died. However, I’ve see many attestation records where the individual stated the wrong birth date for various reasons. The 1901 and 1911 Canada Census records show Ernest was born in 1898, putting him 18 years old at the age of death. A transcription of his Attestation Papers and his War Memorial have been added to this site with links to view the originals.